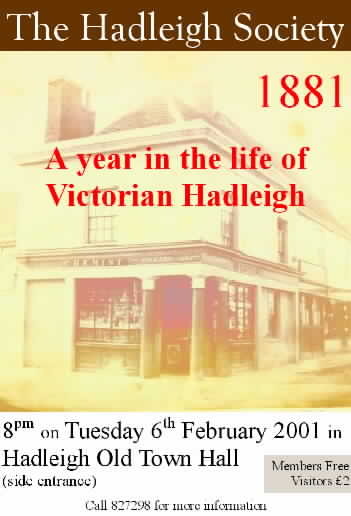 Here is a list of past events, associated with the Society, its members, or its major interests. 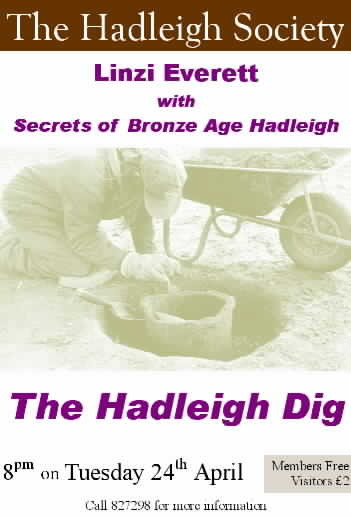 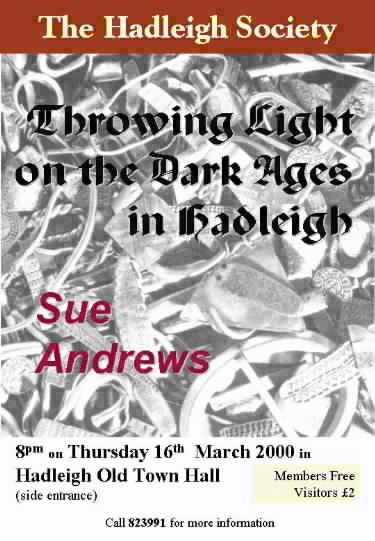 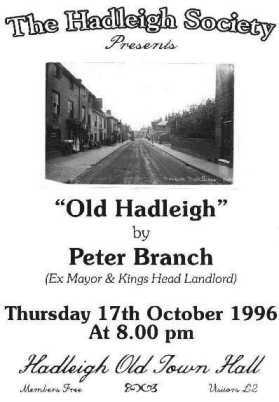 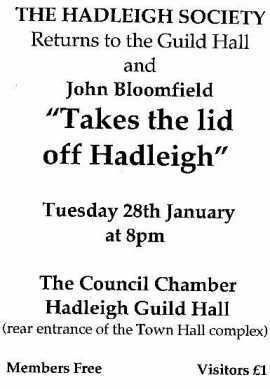 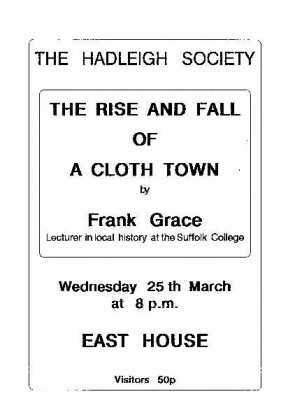 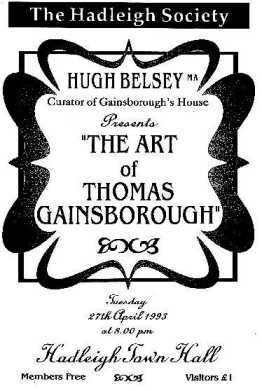 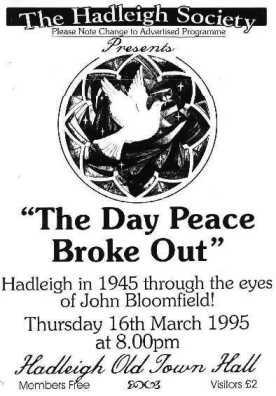 A few were not directly the responsibility of the Hadleigh Society. 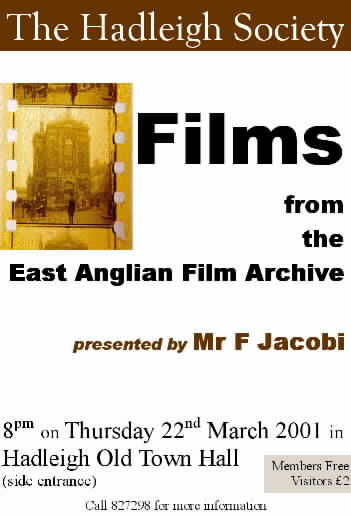 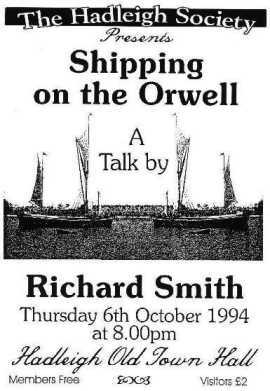 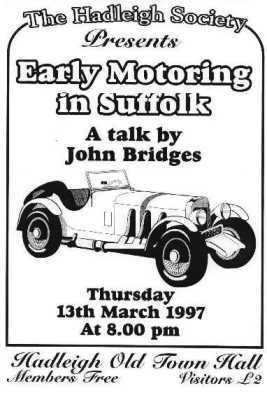 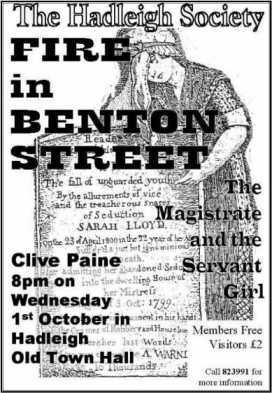 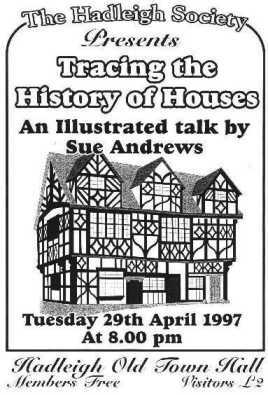 Some recent newsletters include reports of these events: where these are available they can be found by clicking on the highlighted link in the subject column. 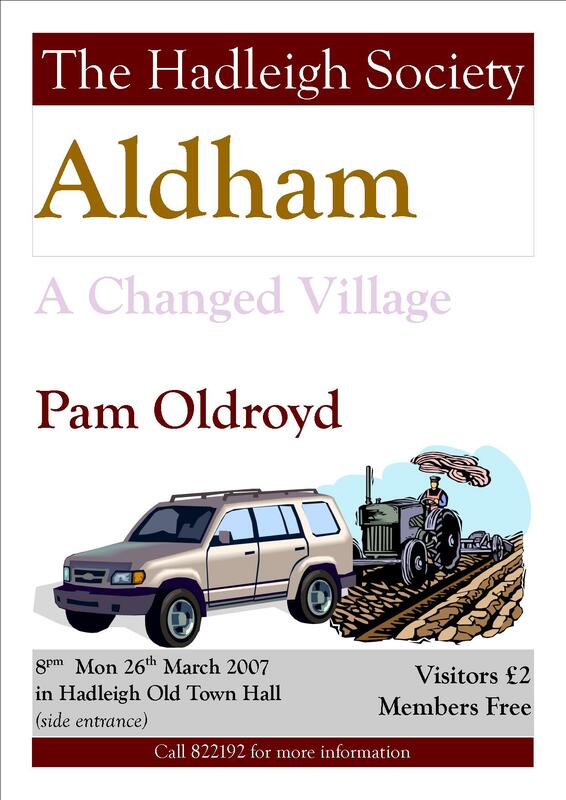 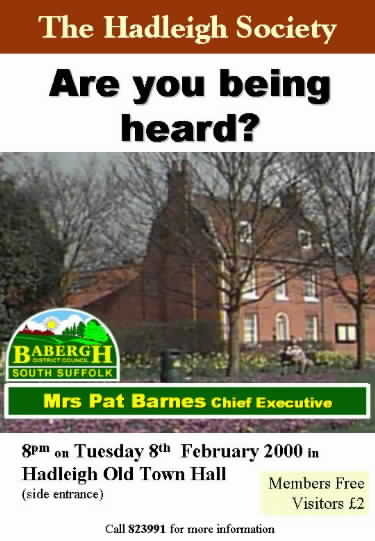 Where it's available, a poster of the meeting can be viewed by clicking the highlighted date, or there will be a link to click in the Poster column. 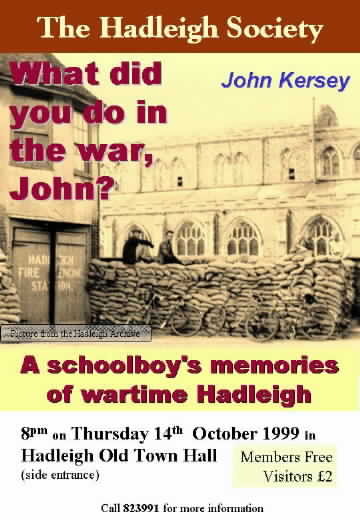 14 Oct 1999 What did you do in the war, John? 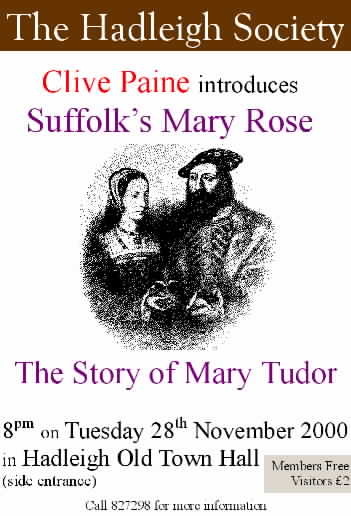 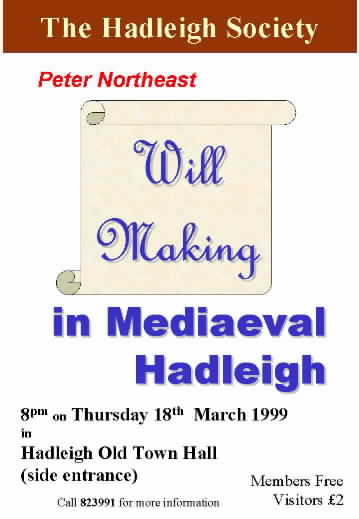 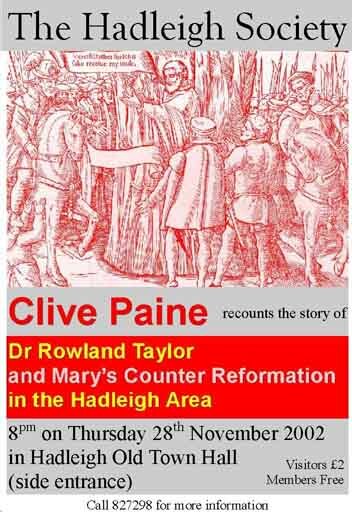 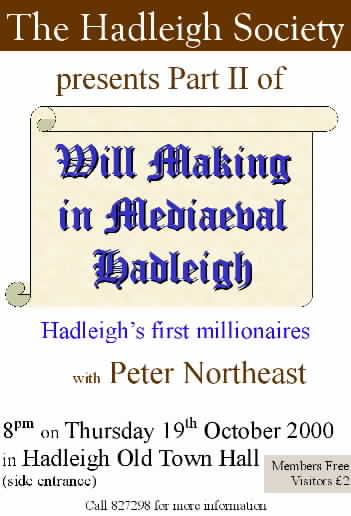 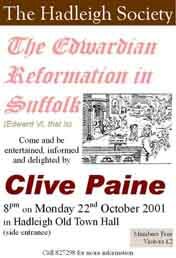 19th October Will Making in Medieval Hadleigh – part 2 Peter Northeast In Part 1 we heard how their wills revealed that some of Hadleigh’s past residents were millionaires, by today’s values. 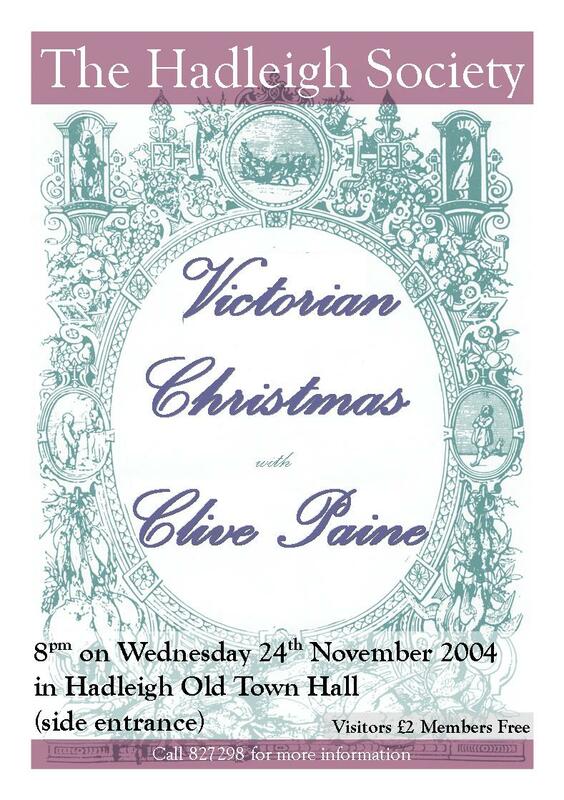 Find our more in Part 2. 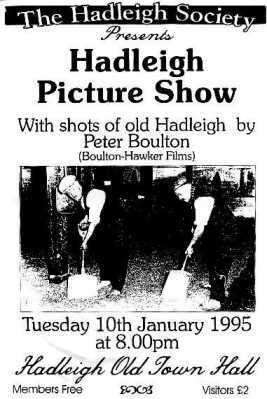 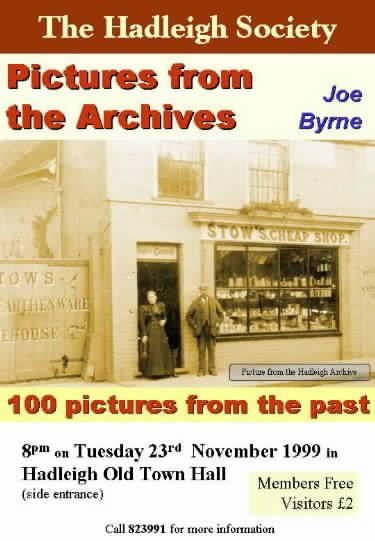 3rd February 2003 Hadleigh Picture Show Joe Byrne More pictures from Hadleigh's Archives. 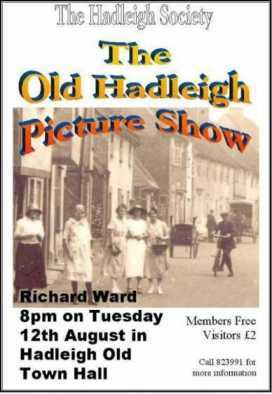 Cedric Morris: 40 years in Hadleigh Glyn Morgan Glyn Morgan on the work of Cedric Morris who for 40 years was one of the most celebrated residents of Hadleigh. 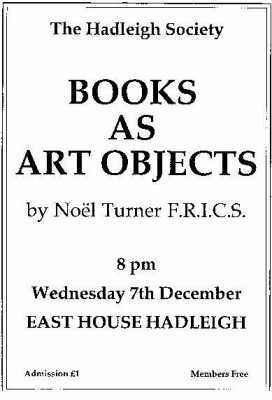 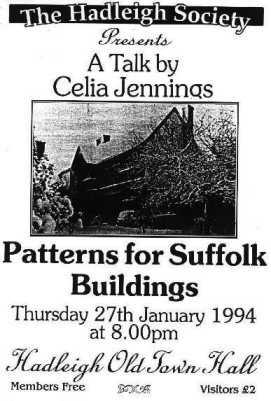 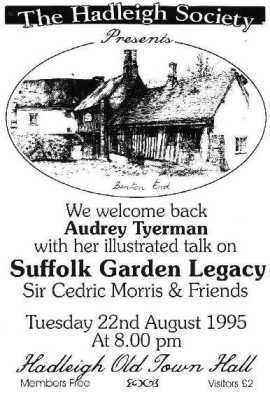 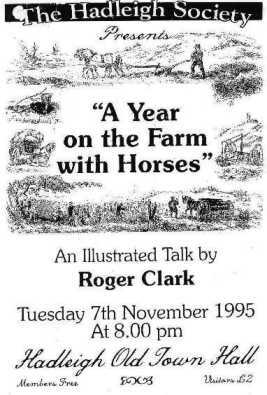 From 1944 up to Cedric’s death in 1982 Glyn was a frequent pupil at the East Anglian School of Painting and Drawing at Benton End. 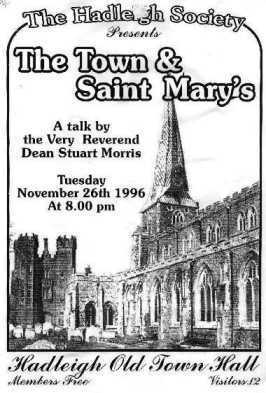 St Mary's Church Vestry has, for some centuries, been the repository of day to day matters and objects concerning the church as a structure and an institution. 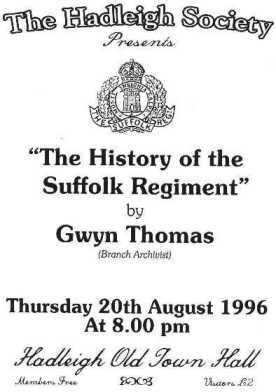 Though relatively inconsequential at the time, they now have a fascinating historical importance. 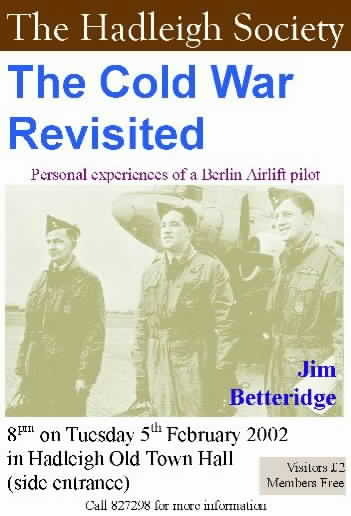 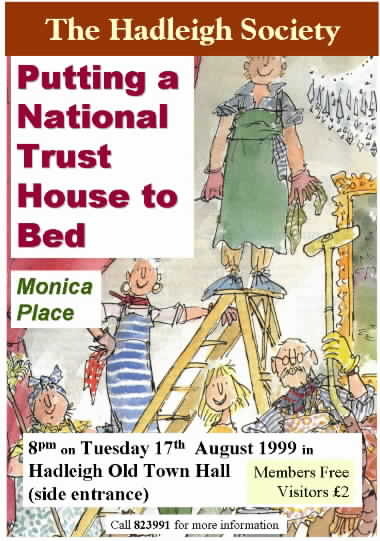 illustrating some of the physical changes brought about by the personalities involved as well as a small insight into the individuals themselves. 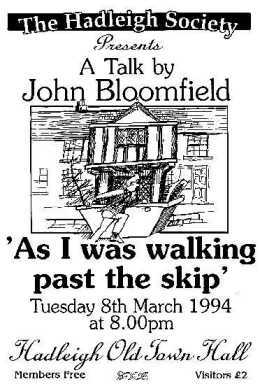 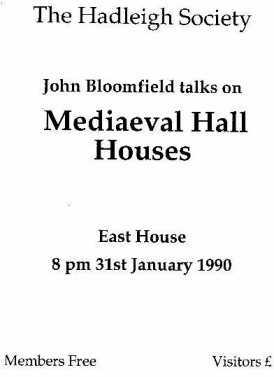 John Bloomfield has compiled some of this information to show what previous generations did to the church to match the requirements of the day and, in doing so, has unearthed some surprises. 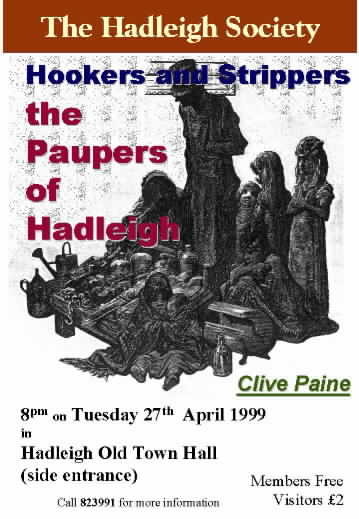 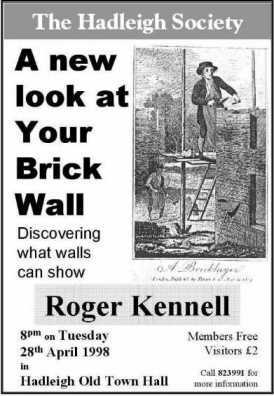 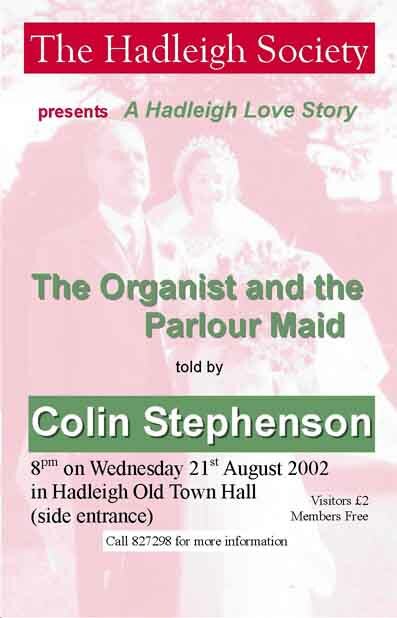 Wednesday 24th May Pretty Corsets in Hadleigh Roger Kennell For over twenty years early last century, the Hadleigh Corset Factory of William Pretty provided employment for many local women and girls. 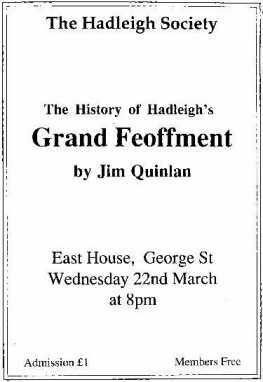 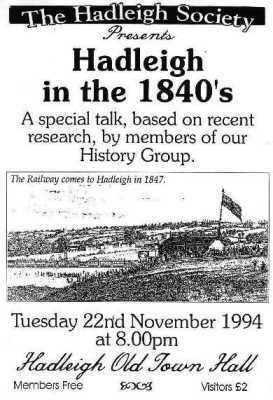 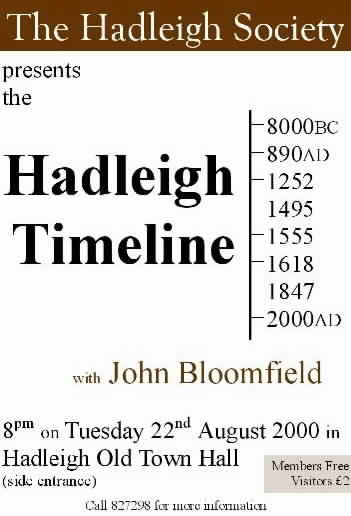 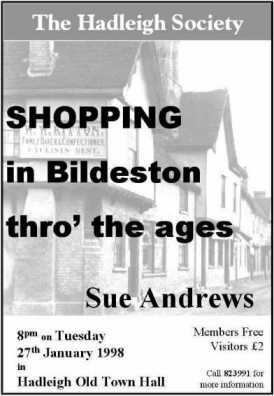 The eight members of Hadleigh Society History Group peopled the streets of the town based on a map dated 1836 held in Hadleigh Archive. 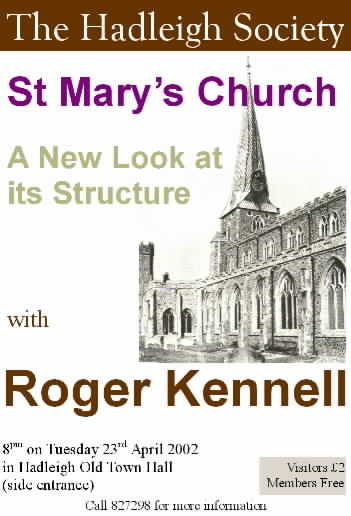 The map shows all the residential streets with buildings represented as approximate-sized rectangles, except for the parish church of St Mary’s that appears to be a scaled plan. 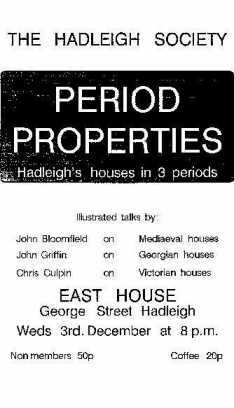 Some dwellings and business premises have the names of their occupiers, while others are numbered. 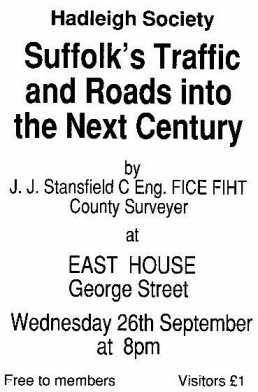 These numbers do not refer to present addresses but to a local census discovered in the Suffolk Record Office at Bury St Edmunds. 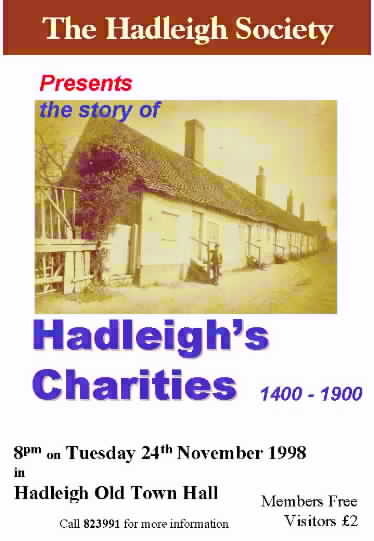 Margaret Jeffrey Dr Franey: Hadleigh Cottage Hospital. 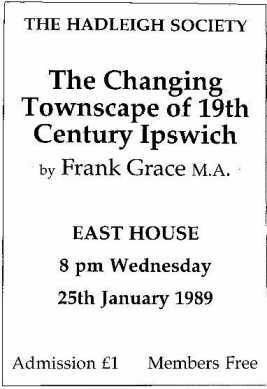 the various visitations of the bubonic plague in this county, with special reference to Ipswich in 1665. 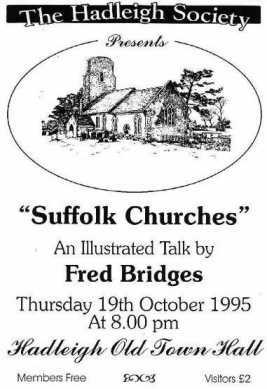 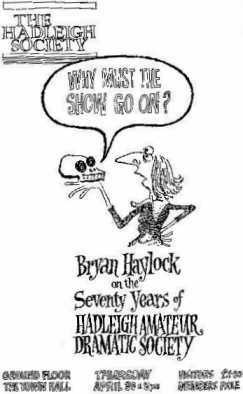 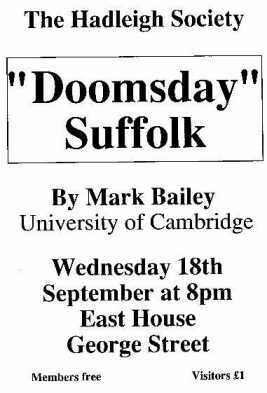 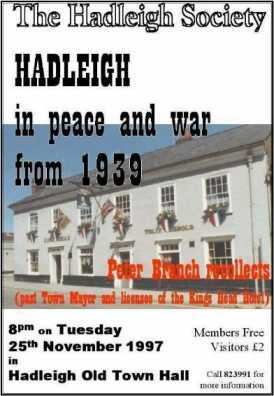 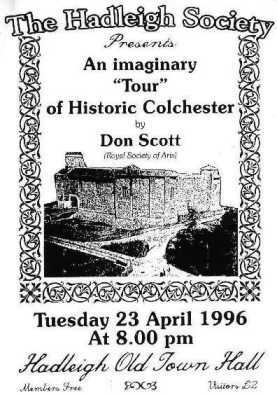 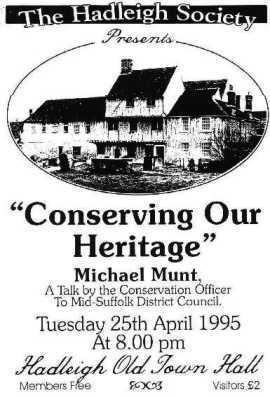 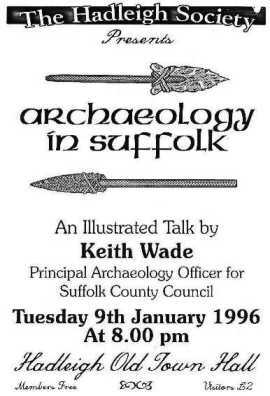 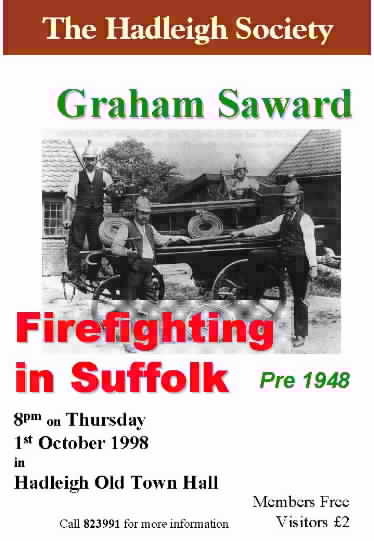 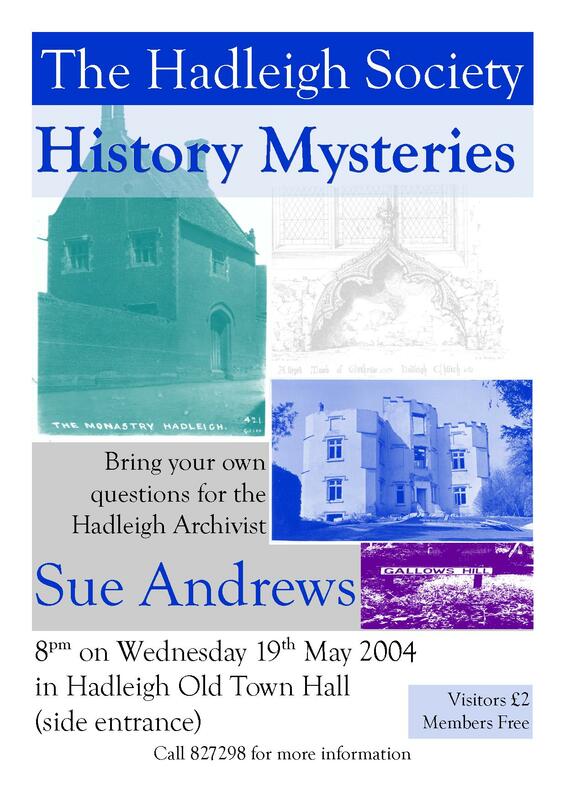 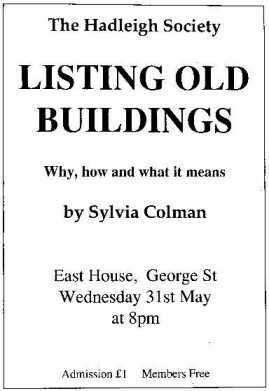 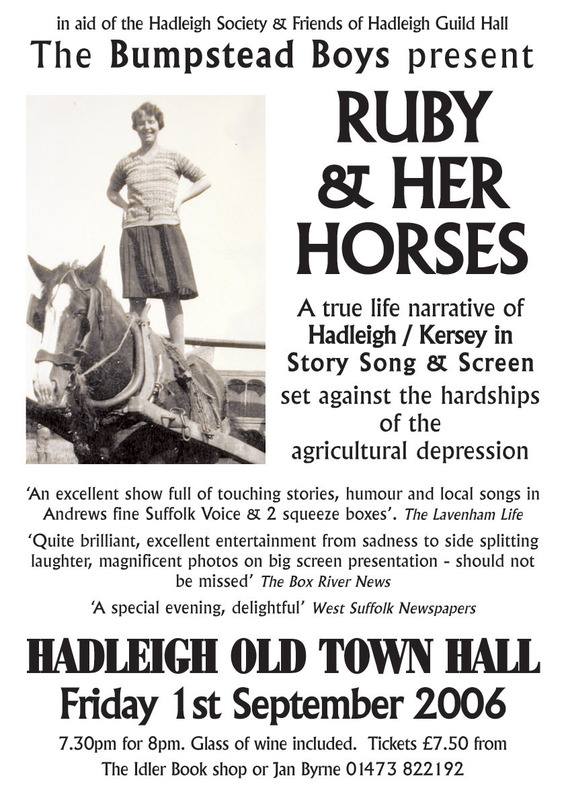 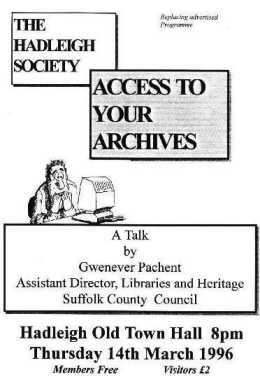 Sat 27 Sep Suffolk Local History Council Study Day several Not a Hadleigh Society event. 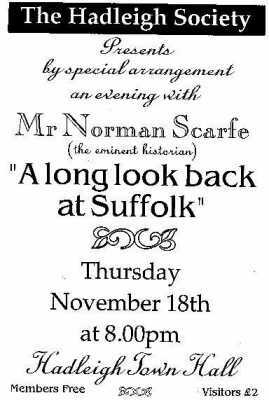 Wed 6 Dec ‘Cakes, Ale & Partying: Feasting & Fundraising in Medieval Suffolk’. 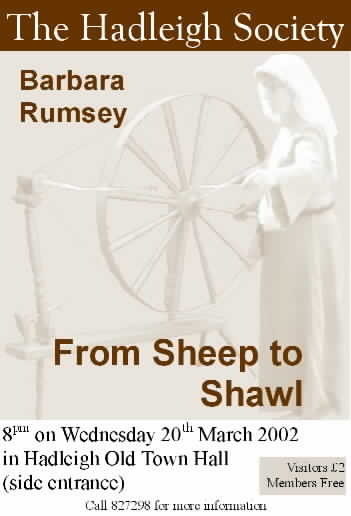 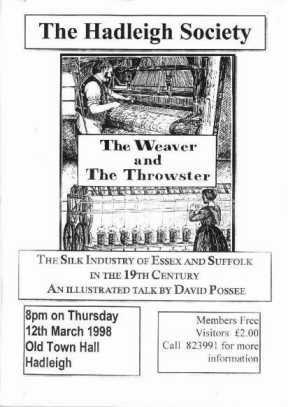 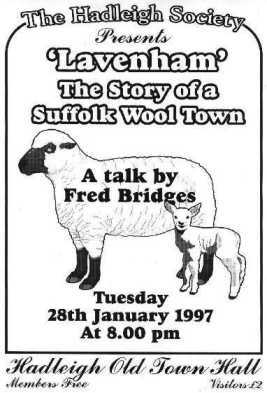 Wed 21 Mar From Wool to Cloth Nicholas Amor How Suffolk was the powerhouse of the country in past times.